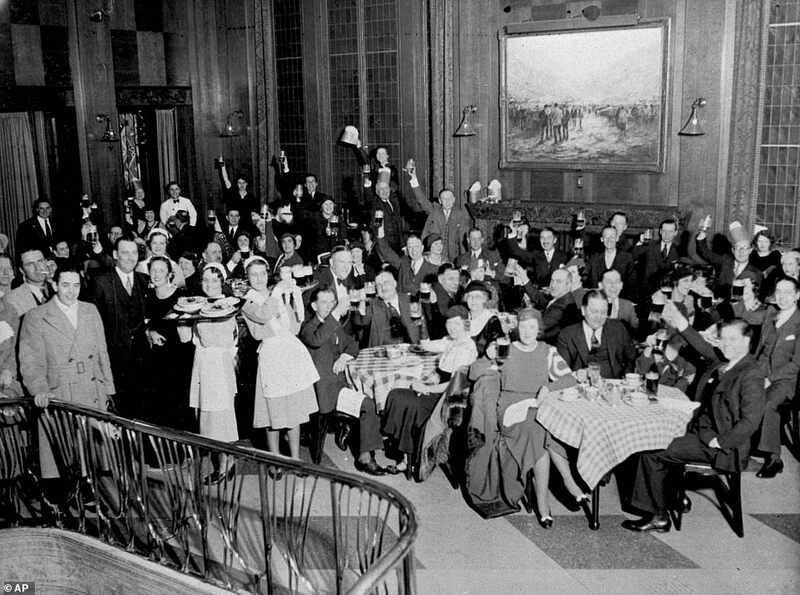 In packed bars, they sang and smiled while cocktails were shaken, champagne was popped, gin gushed, and frothy beer was poured. 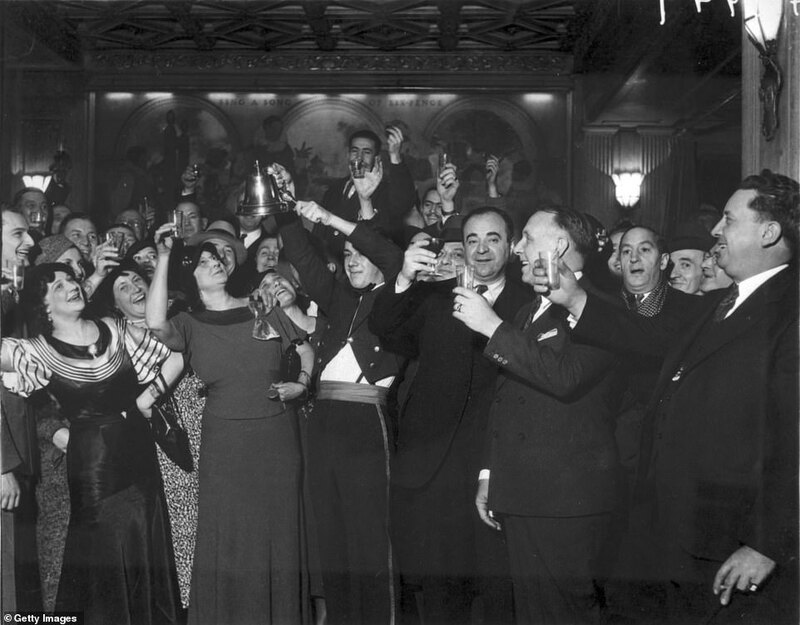 With glee and giddiness, they raised glasses, clinked and toasted: Prohibition was over. 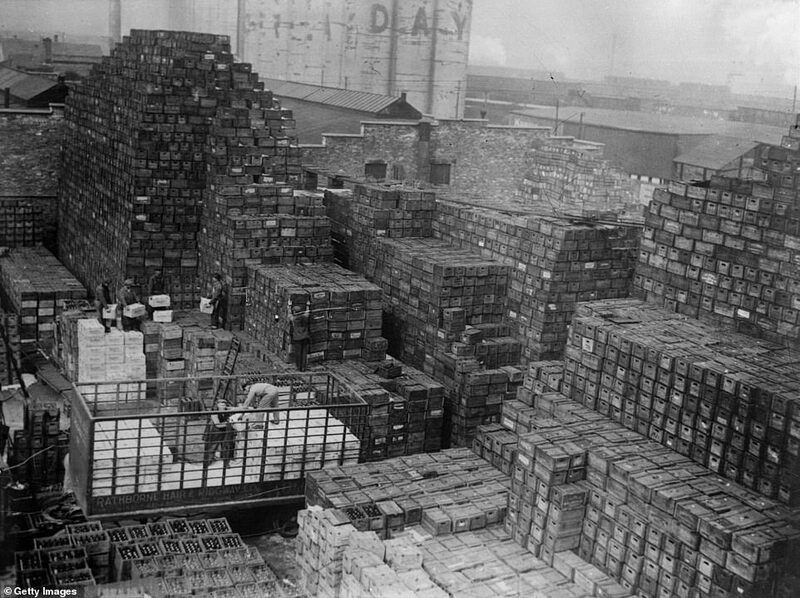 For more than 13 years, the manufacture, sale and transportation of alcohol was illegal in the United States until December 5, 1933. 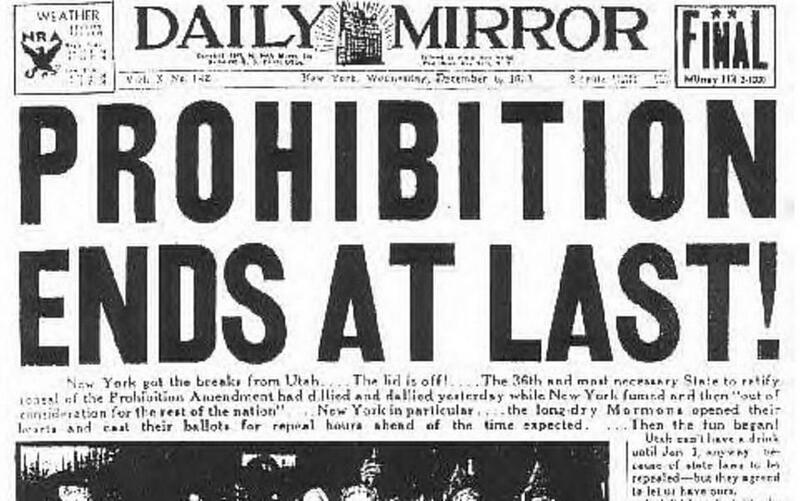 Known as Repeal Day, Wednesday marks its 85th anniversary. 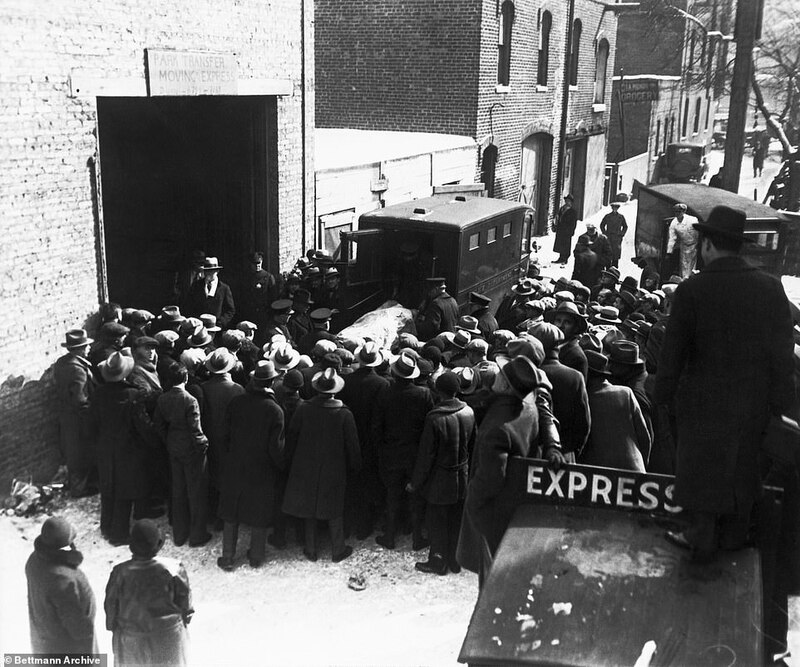 Prohibition, however, was a boon for bootleggers and the mob. In the 1920s, infamous Chicago gangster Al Capone was reportedly raking in an estimated $100 million a year - around $1.3 billion in today's money - in the illicit trade and from other illegal activities. 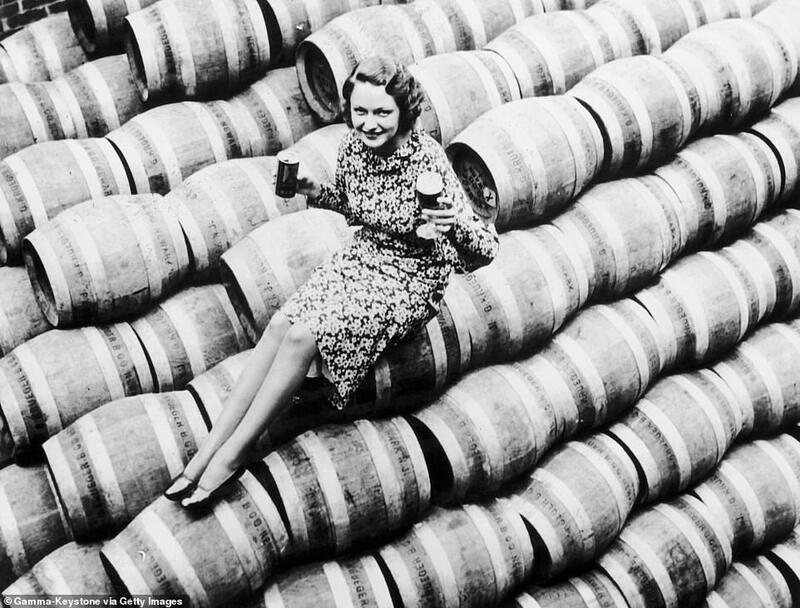 ‘The road to Prohibition began with heavy drinking in Colonial times,’ W.J. 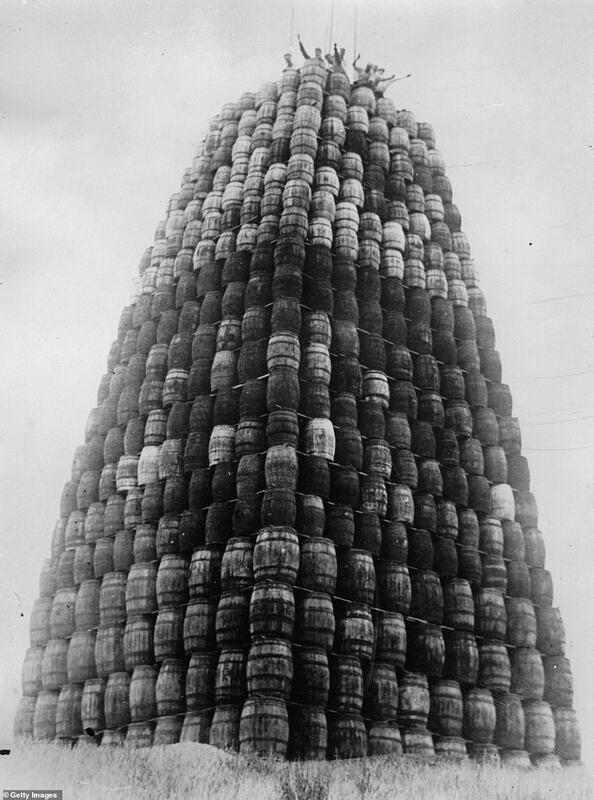 Rorabaugh wrote in his recent book, ‘Prohibition: A Concise History.’ Whiskey was cheaper than other drinks such as beer and tea, and was safer to drink than water, he wrote, so that by the 1820s ‘the average adult white male drank a half pint of whiskey a day.’ The amount of consumption led to societal issues such as domestic violence, child abuse and crimes committed while under the influence, according to the book. 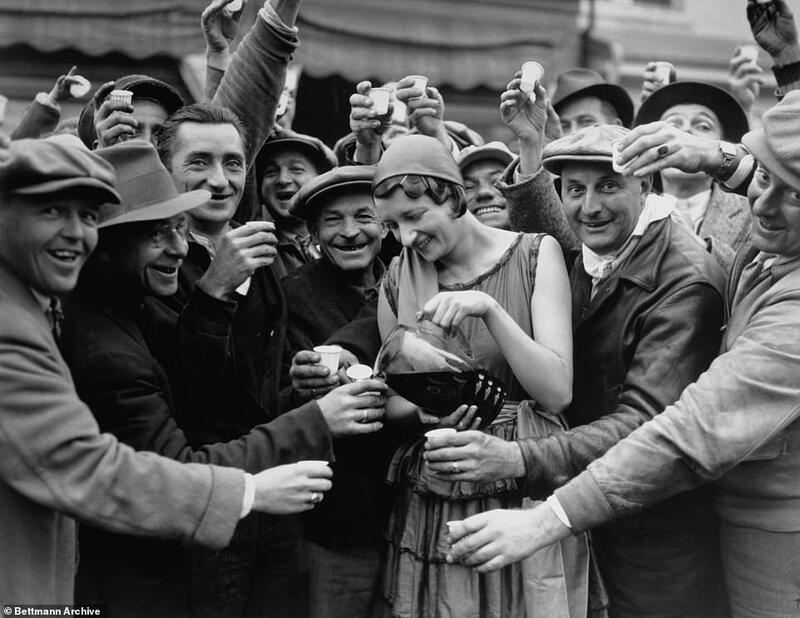 Initially, reformers pushed for people to stop drinking whiskey, but by the time the Temperance Movement was in full swing during the 1820s, advocates wanted complete abstention from all alcohol. 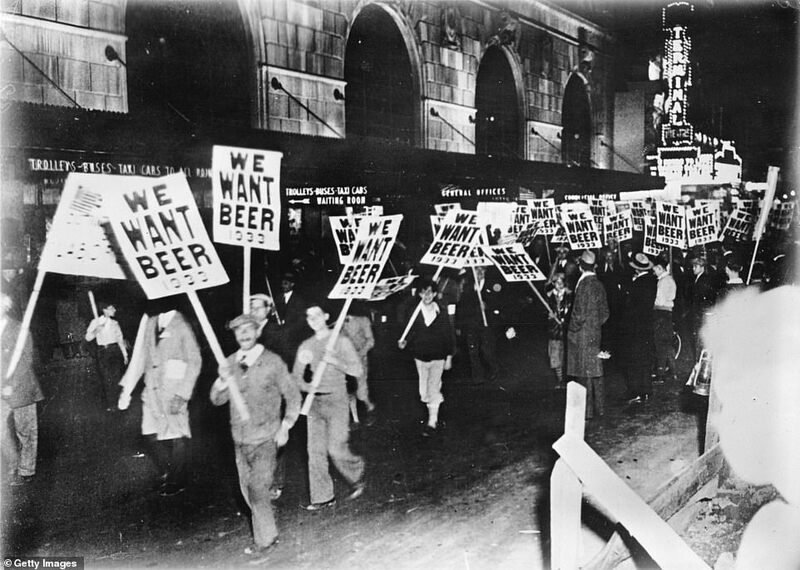 Some states passed laws prohibiting the sale of alcohol, making them ‘dry,’ starting in the early 1850s, but the movement was put on hold during the Civil War, which was from April 12, 1861 until May 9, 1865. Cities and states that had minimal restrictions on alcohol and allowed its sale were 'wet'. 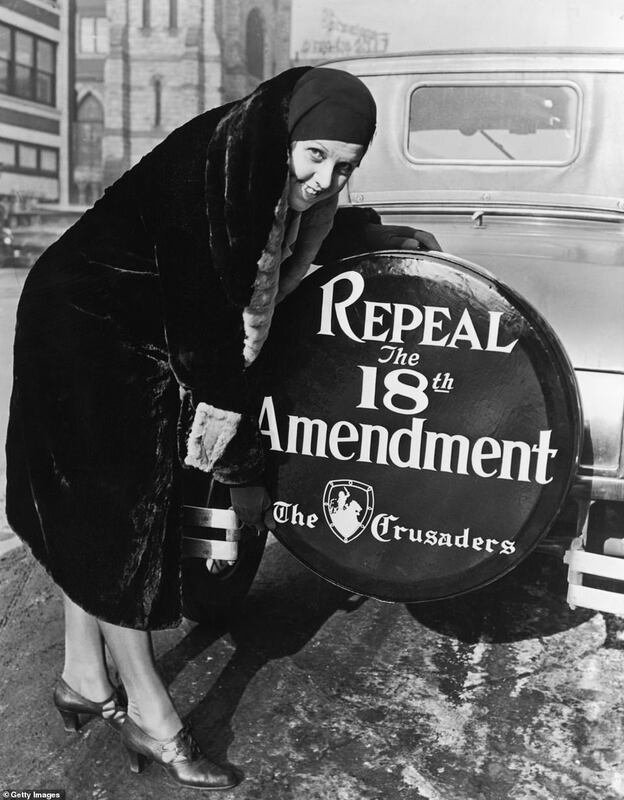 By 1874, the crusade to make the country dry began again in earnest with the founding of the Women’s Christian Temperance Union. Carrie Nation founded the local branch of the union in Kansas and became famous for using a hatchet to smash a bar’s liquor supply to prevent men from imbibing. In 1893, the Anti-Saloon League joined the union’s effort to ban alcohol at a national level and maneuvering by its lobbyist in Washington DC helped to put a constitutional amendment before lawmakers, according to the book. 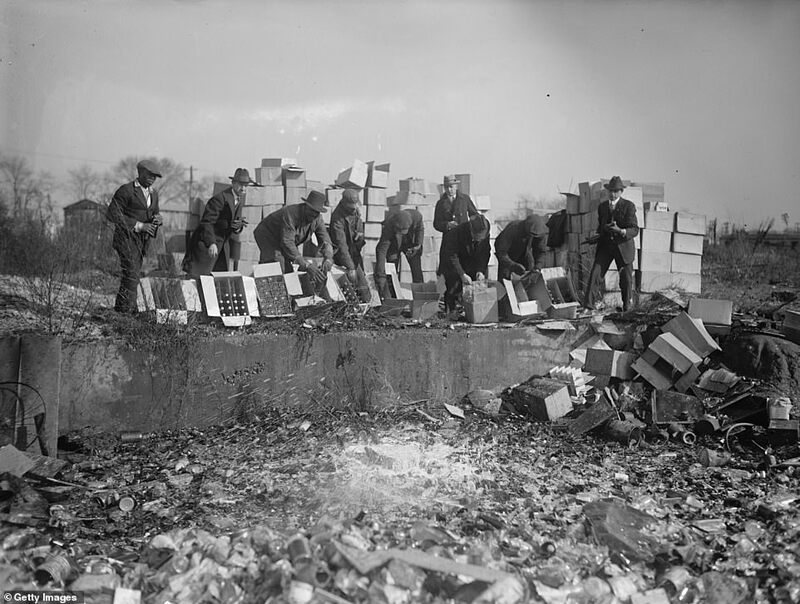 By the time the United States declared war on Germany in 1917 during World War I, Congress was on its way to passing the 18th Amendment, which prohibited the ‘manufacture, sale, or transportation of intoxicating liquors.’ States ratified the amendment and it took effect in January 1919. 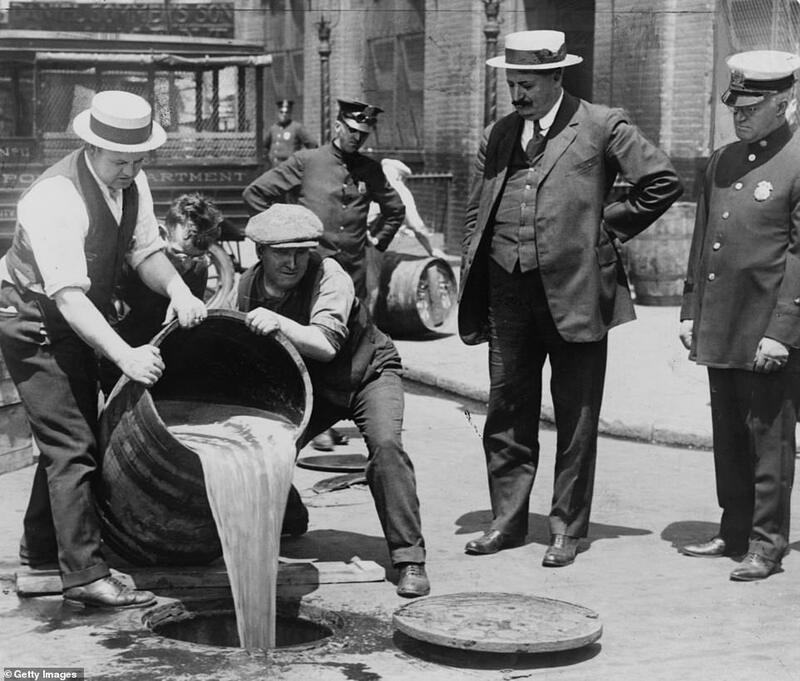 The same year, Congress passed the National Prohibition Act, which was known as the Volstead Act for the congressman who helped to pass it, to enforce Prohibition. President Woodrow Wilson vetoed the act, but Congress overrode it. 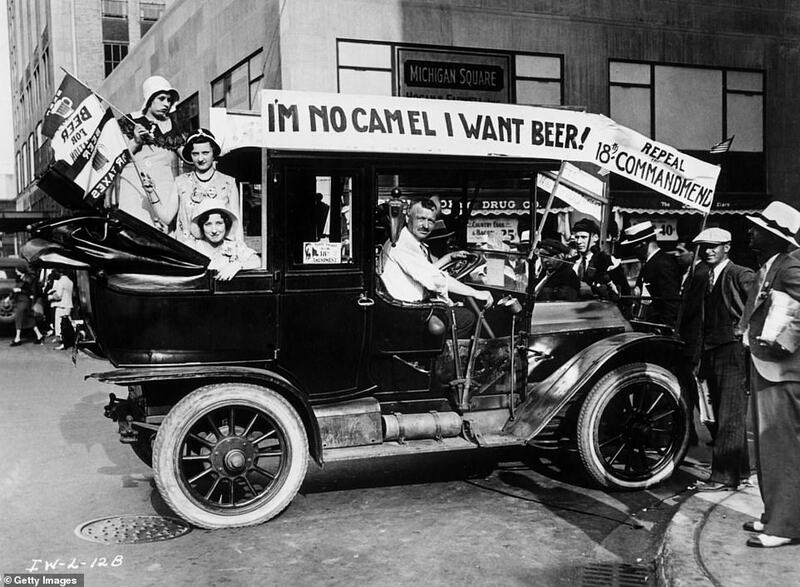 The act took effect on January 16, 1920 – the start of Prohibition. 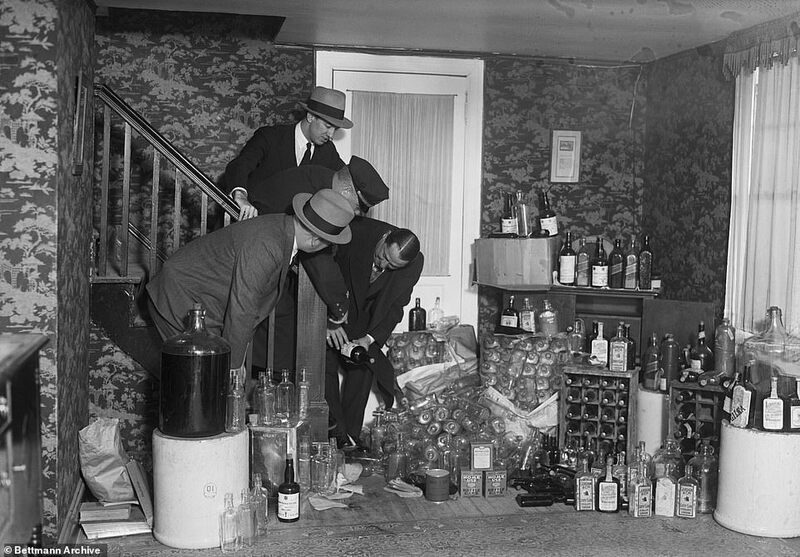 However, gangsters and the mob took over the alcohol trade and were earning enormous sums of money - for instance, a 12-bottle case of Canadian liquor went for $250, six times the price before Prohibition - by the mid-1920s, according to the book. ‘Gang violence turned many Americans against Prohibition,’ Rorabaugh wrote. 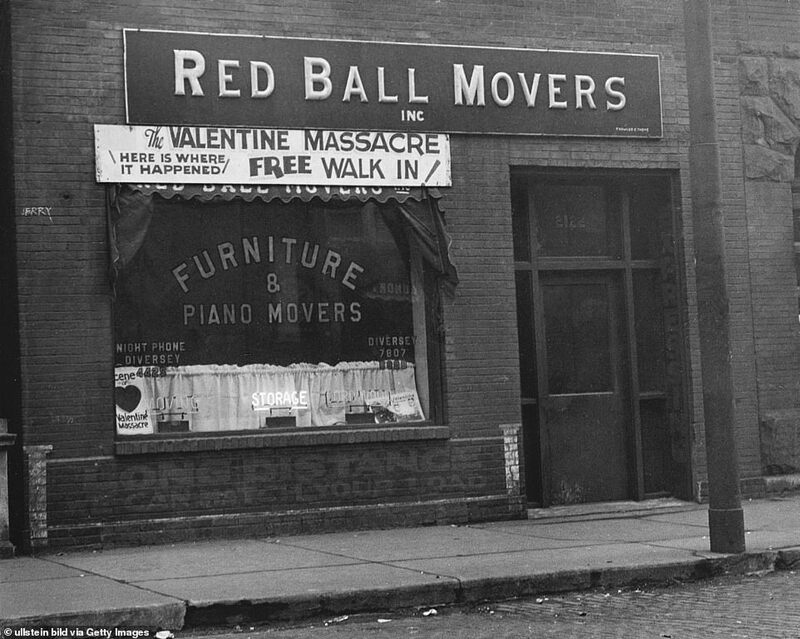 On February 14, 1929, seven men were shot in the morning in Chicago on what became known as the Saint Valentine’s Day Massacre. 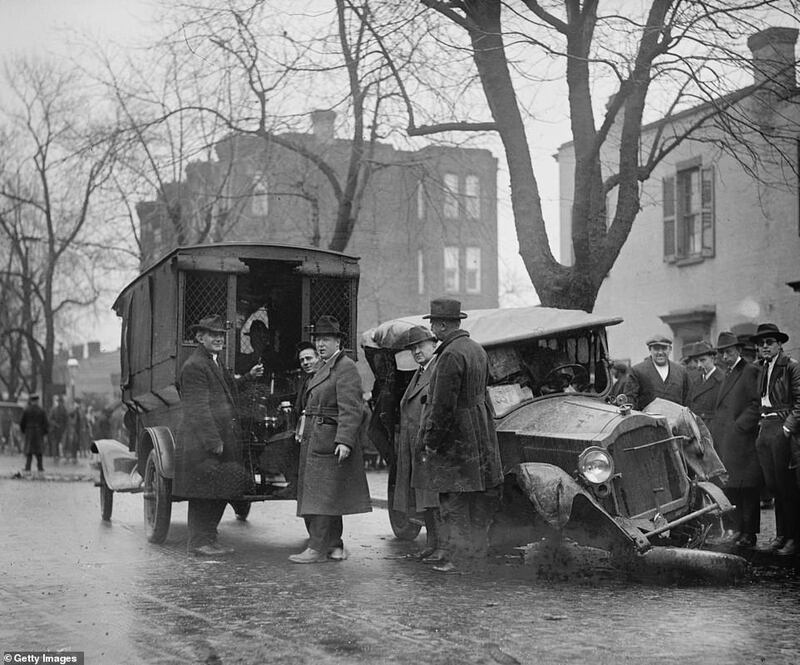 Reportedly, Al Capone ordered the hit on his rival George ‘Bugs’ Moran and his gang. 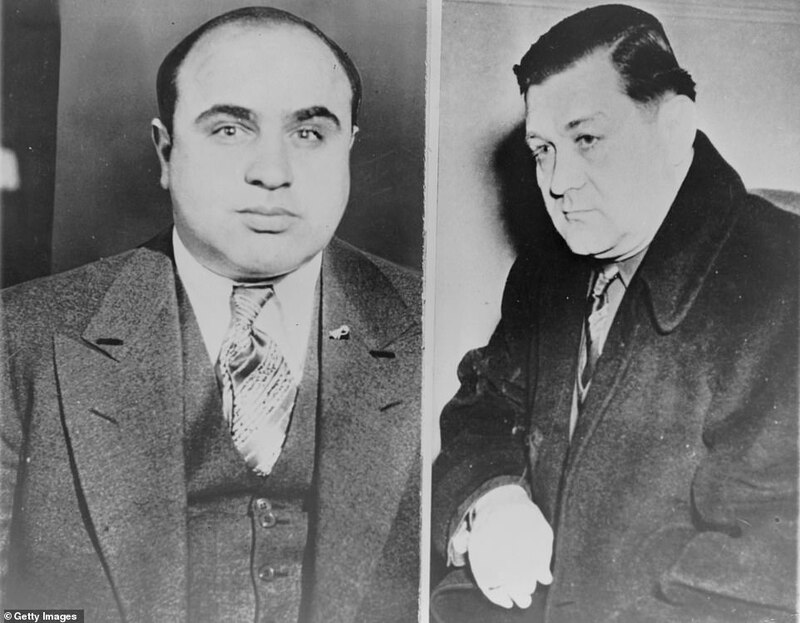 Moran escaped death, Capone was the king of Chicago but the notorious crime shook the nation. After the massacre, newspapers called Capone ‘Public Enemy No. 1.’ In June 1931, Capon was indicted for several counts of federal income tax evasion, was found guilty of three counts, and sentenced to 11 years. Once he went to prison in 1932, his days as the crime boss of Chicago were over. He served time until late 1939 when he was released due to illness – he had a late stage of syphilis – and died on January 25, 1947 at aged 48. 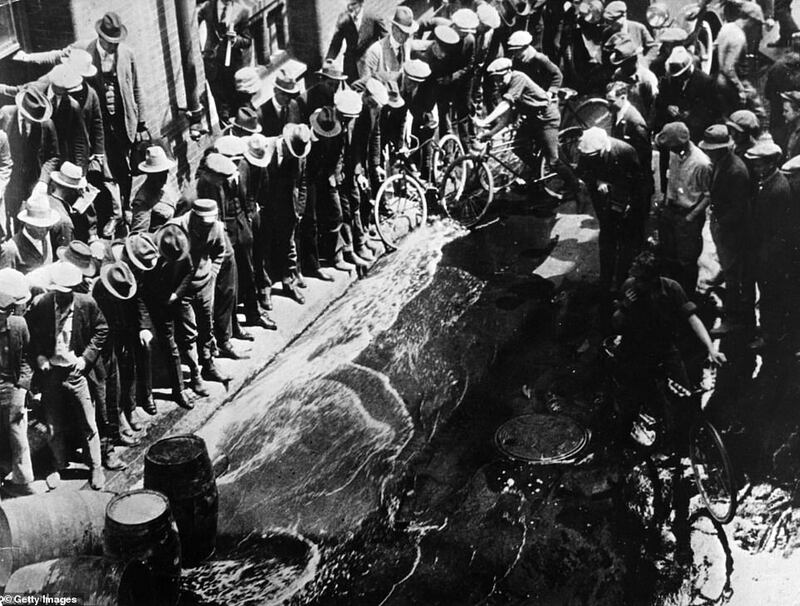 The federal government tried to get illegal liquor off the street, and there is old film footage of agents busting open beer barrels and pouring the libation into sewers as well as bottle after bottle after bottle of hard spirits being emptied. People still found ways to get and drink alcohol, including getting prescriptions from doctors to use beer or whiskey for medicinal purposes. 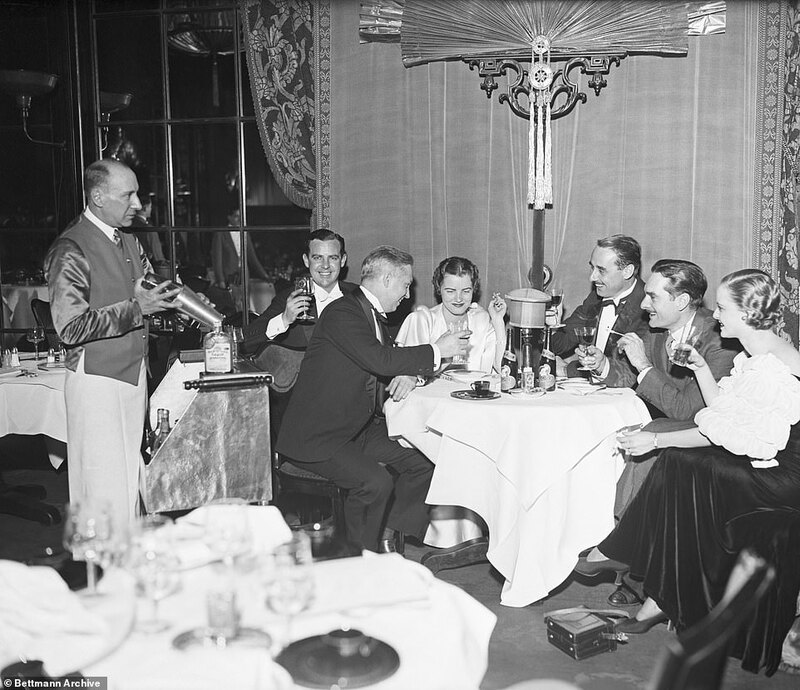 Speakeasies and private clubs flourished, and ranged from ‘dangerous basement dives that sold unsafe industrial alcohol to upscale establishments like New York’s 21 Club,’ Rorabaugh wrote. 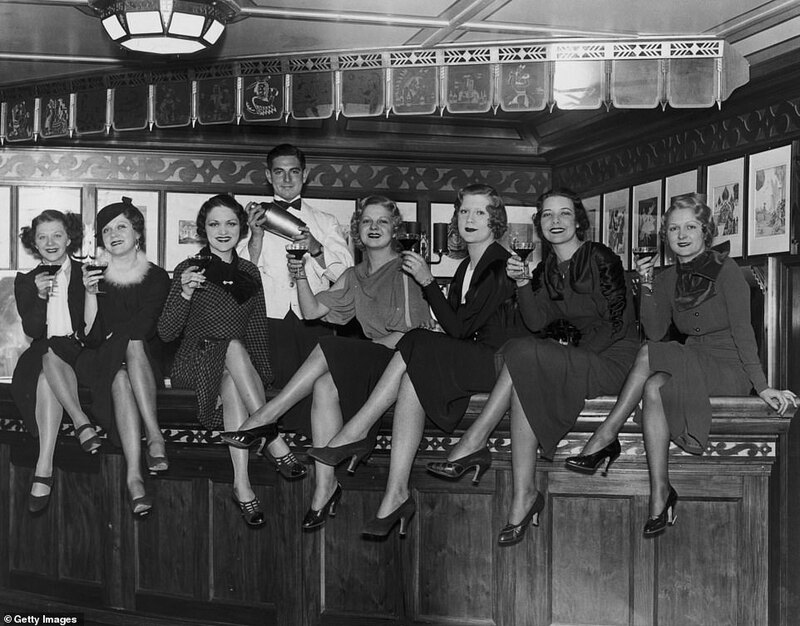 Speakeasies lacked signs, had bouncers to screen customers, and in some instances only admitted those ‘who knew the correct code words or had printed passes,’ according to the book. They also admitted women. 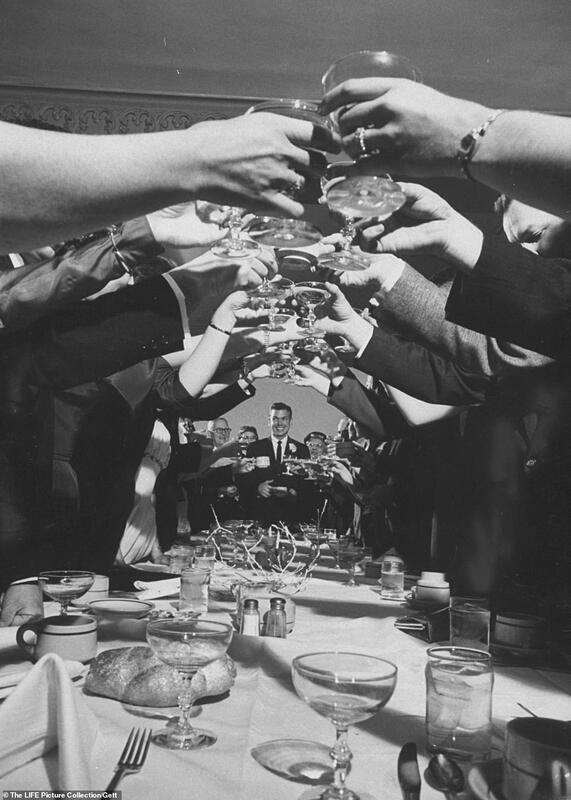 ‘Drinking also took place discreetly in ice cream stores, soft drink shops, beauty parlors, and funeral homes,’ he wrote, and, of course, at home. By 1931, the results of what was called the ‘noble experiment’ were a mixed bag. 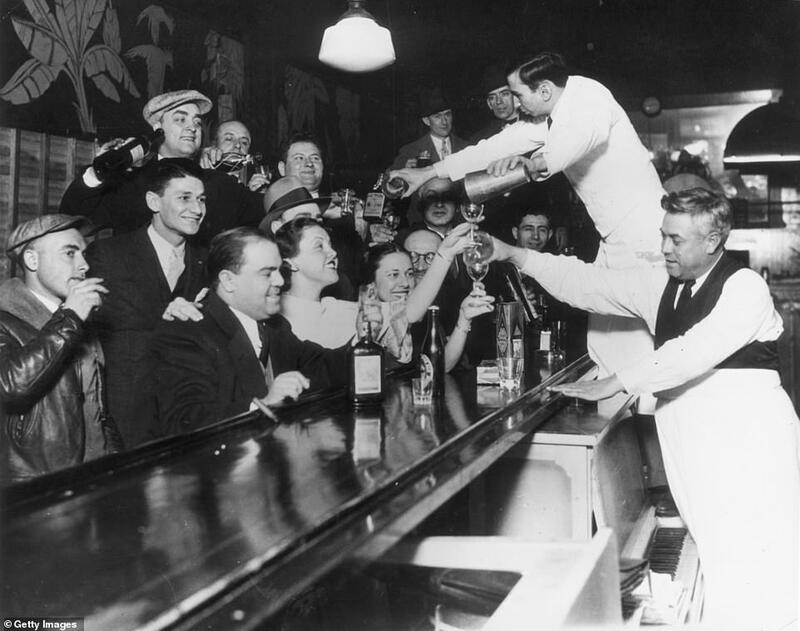 On the one hand, there was less consumption of alcohol – due, in part, to how expensive it was during Prohibition – but on the other were figures like Capone and a proliferation of violence. 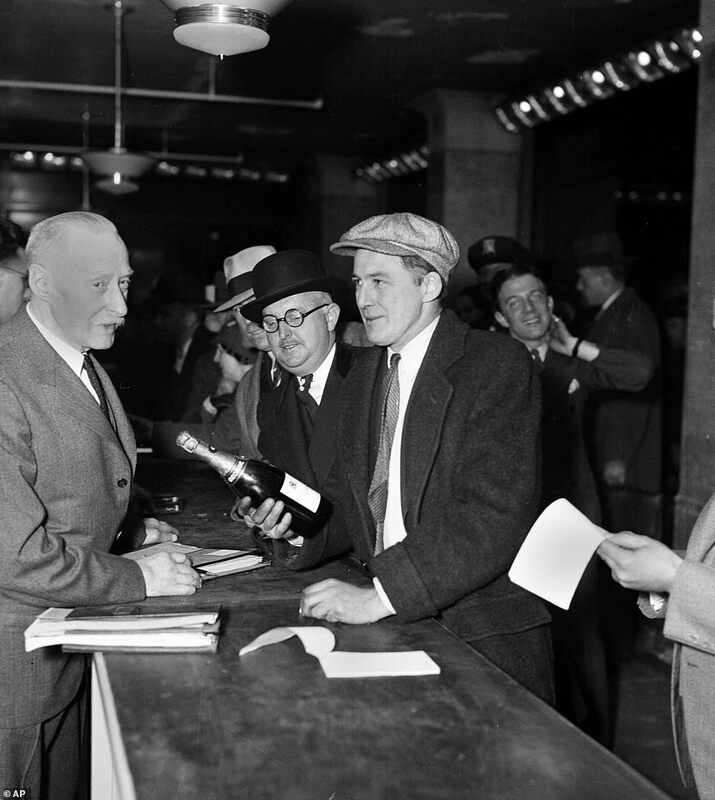 Gangsters and bootleggers were not paying taxes, and since the stock market crash of 1929 that had brought on the Great Depression, the idea of taxing alcohol for revenue was becoming appealing. As Franklin Delano Roosevelt geared up to cinch the Democratic nomination for president, the then-governor of New York supported the repeal of the 18th Amendment, stating at the convention: 'This convention wants repeal. 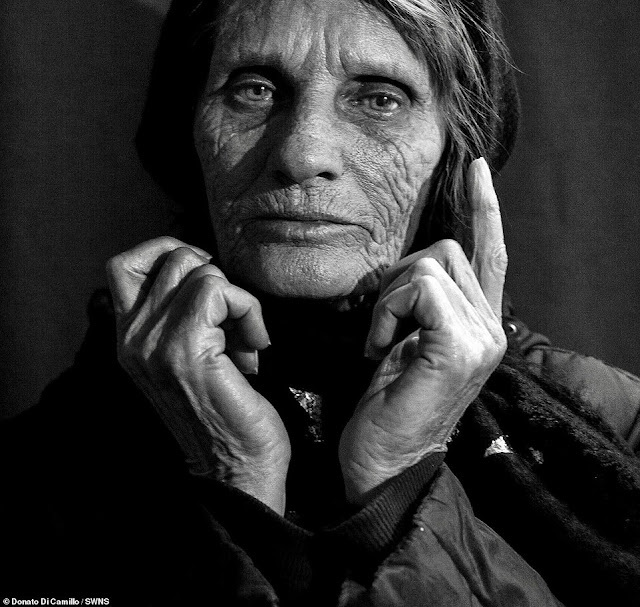 Your candidate wants repeal. And I am confident that the United States of America wants repeal,' according to the book. The tide had turned. 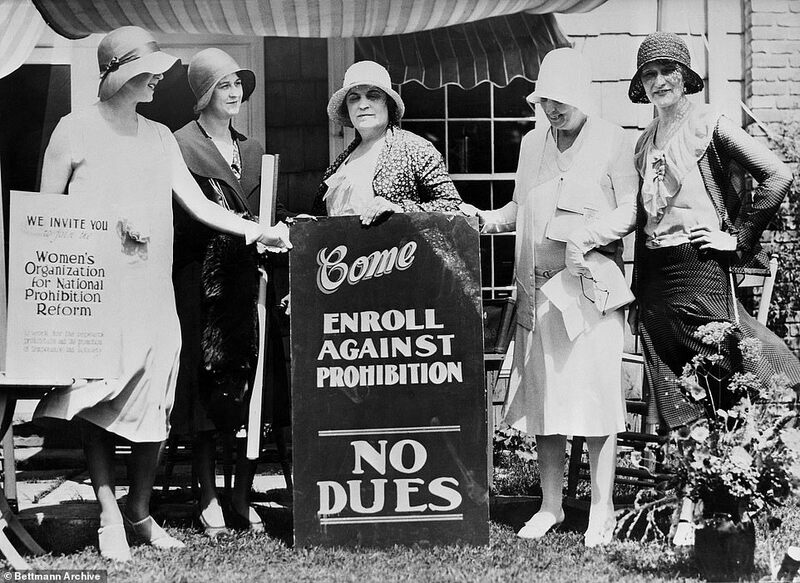 There were groups such as the Women's Organization for National Prohibition Reform that were calling for repeal and people were protesting. 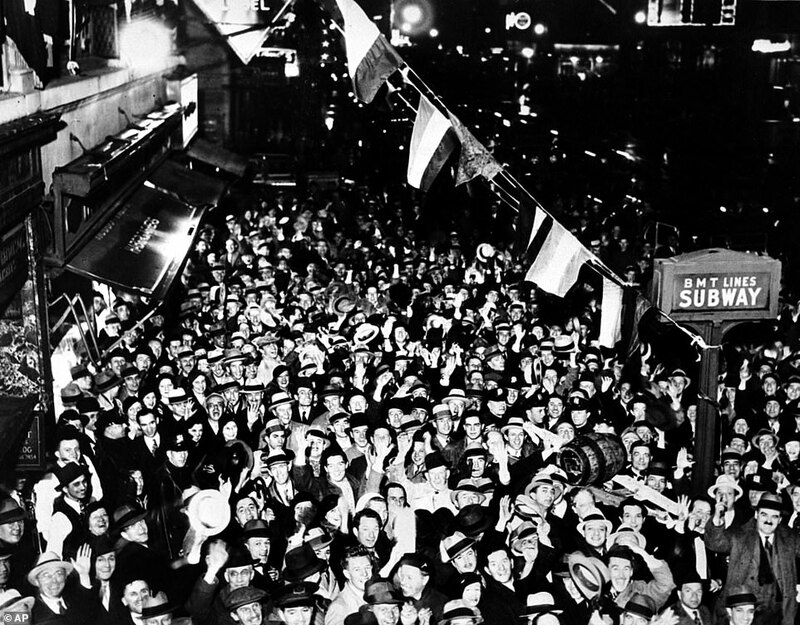 The state of economy helped Roosevelt to win the presidency in 1932. 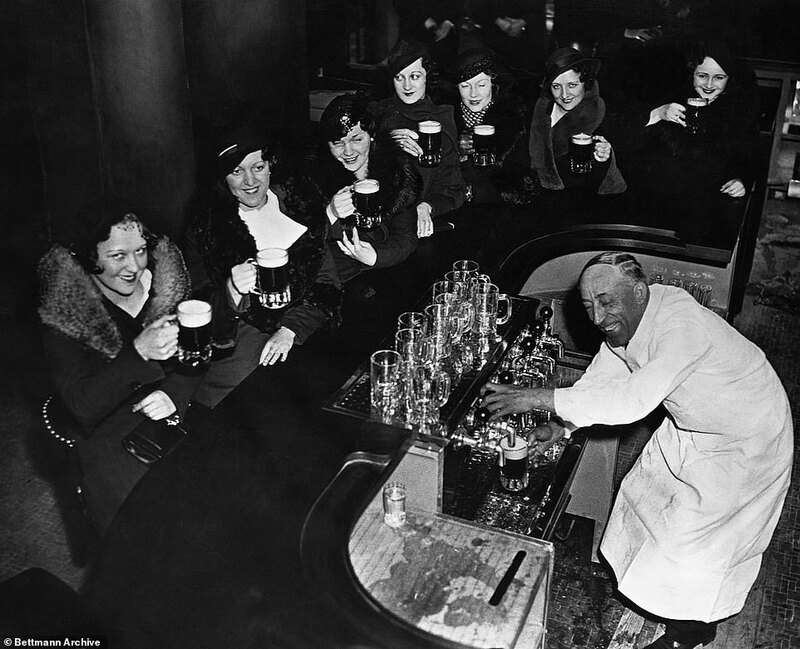 Roosevelt was inaugurated on March 4, 1933, and before the end of the month, he signed the Beer and Wine Revenue Act, which allowed for the sale of beer that contained 3.2 percent alcohol. But most importantly, it levied a tax on all alcoholic beverages. The act went into effect on April 7, and the government started collecting taxes almost immediately. 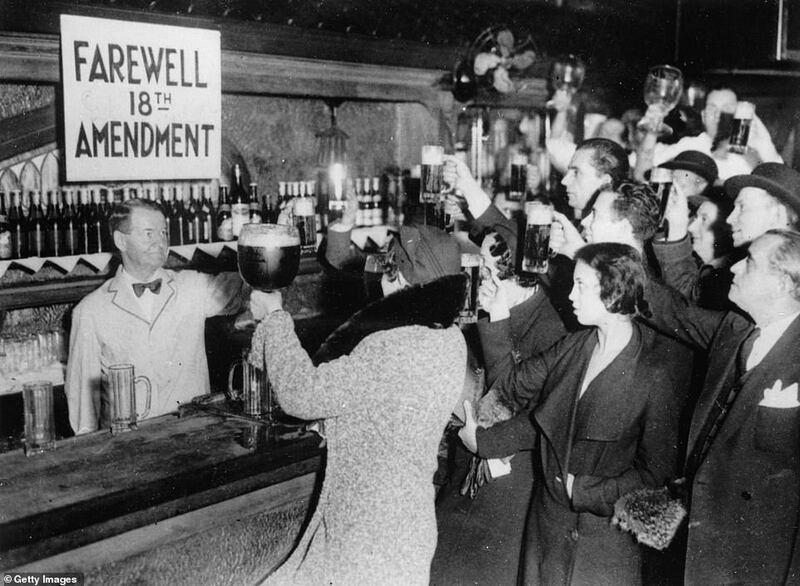 The ratification of the 21st Amendment - which repealed the 18th Amendment - on December 5, 1933 marked the official end of Prohibition.